Corresponding author at: Rua Vicente Linhares, 1198, 60135-270, Fortaleza, Ceará, Brazil. Table 1. Reports of kidney involvement in visceral leishmaniasis (kala-azar). Leishmaniasis is an infectious disease caused by protozoa of the genus Leishmania transmitted by insects of the genus Lutzomyia sp. or Phlebotomus sp. The main syndromes are cutaneous leishmaniasis, mucocutaneous leishmaniasis, visceral leishmaniasis (kala-azar) and post-kala-azar dermal leishmaniasis. This article reviews kidney involvement in cutaneous and visceral leishmaniasis, highlighting the aspects of their pathophysiology, clinical manifestations, histopathological findings, outcome and treatment. Leishmaniasis is an infectious disease caused by protozoa of the genus Leishmania transmitted by insects of the genus Lutzomyia sp. or Phlebotomus sp.1 There are more than 20 species of leishmanias causing clinical manifestations in humans, and the main syndromes are cutaneous leishmaniasis, mucocutaneous leishmaniasis, visceral leishmaniasis (kala-azar), and post-kala-azar dermal leishmaniasis.2 This article reviews kidney involvement in cutaneous and visceral leishmaniasis. Decreased urinary concentrating ability, with no reduction of glomerular filtration rate (GFR), was demonstrated by Veiga et al.,8 who studied an animal model of leishmaniasis treated with high doses of meglumine antimoniate. This abnormality in urine concentration results from the action of antidiuretic hormone (ADH) and also by a direct action of the drug in tubular cells.8 High doses of antimonial drugs also cause a reduction in GFR. ACL is highly prevalent in the state of Ceará, Northeast of Brazil. Low treatment adherence favors the development of the mucocutaneous forms, which requires higher doses of antimonial drugs for longer periods, which, in turn, increases its toxicity even further. A recent study was performed in this region in order to investigate renal abnormalities in patients with ACL. Oliveira et al.9 studied 37 patients with confirmed diagnosis of ACL, performed urinary concentration and acidification tests and also investigated the expression of urinary exosomes in the urine of these patients.3 Urinary concentration deficit was found in 77% of cases. The expression of aquaporin was significantly reduced, while NKCC2 was increased, in comparison to that in a control group. Urinary acidification deficit was less frequent (40.5%). The expression of NHE3, H+-ATPase and pendrin was significantly higher among patients than in controls.3 In this same cohort, a urinary concentration deficit was shown in 27 cases (77%) before treatment with Glucantime®, while after treatment it was observed in 31 patients (88%) (p=0.344). It is then possible that ACL can cause urinary concentration deficit and specific treatments do not decrease this defect, although it does not cause significant renal function impairment. Combined defects (concentration and acidification) were seen in 12 patients. Comparing the patients with and without tubular dysfunction, there were no differences regarding age, gender, time of disease, and number of cutaneous lesions. There was no significant abnormality regarding excretion fraction of sodium, potassium, calcium and phosphate. There was a significant difference in serum magnesium concentrations between patients with and without acidification deficit (2.15±0.06 vs. 2.33±0.04, p=0.02). No patient with urinary concentration or acidification deficit had albumin/creatinine ratio >30mg/g3. Other infectious diseases with predominant involvement of skin and nerves, such as leprosy, can also lead to glomerular dysfunction. Oliveira et al.,9 in a prospective study with 59 patients with leprosy, showed decreased GFR in 50% of cases when considering GFR<80mL/min/1.73m2, and in 5% when considering GFR<50mL/min/1.73m2. Microalbuminuria is a known marker of glomerular dysfunction in diabetes mellitus10 and also in cardiovascular diseases.11,12 Microalbuminuria higher than 30mg/g creatinine was observed in 35% of patients with ACL followed in a health center in the state of Ceará, Brazil, before specific treatment, and in only 8% of patients after treatment,3 suggesting the presence of incipient glomerular lesion induced by ACL itself, without concomitant GFR decrease. Pentavalent antimonial drugs are rapidly eliminated through the kidneys,15 so their use should be avoided in patients with renal dysfunction, due to cardiotoxicity and renal function worsening. Urinary concentrating defect has also been described and the heavy metal used in antimonial composition is the main factor responsible for the toxicity.16 AKI may be due to massive deposition of immune complexes formed after Leishmania destruction by antimonial drugs, a phenomenon similar to that of Herxheimer reaction.17 Sampaio et al.18 evaluated 11 patients with ACL who received a double dose of antimonials (40mgSbv/kg/day for 30 days), and observed that one patient developed AKI. Eight patients showed a decrease in GFR after 30 days of treatment. They also observed distal and proximal tubular dysfunction, evidenced as a decrease in urinary concentration ability and increased sodium excretion fraction. Rarely, treatment with meglumine antimoniate can cause AKI due to interstitial nephritis.16 At low doses and for a short period, pentavalent antimonial shows low renal toxicity. In ACL treatment, however, it is many times necessary to use higher doses of pentavalent antimonial, which increases toxicity. Reports of kidney involvement in visceral leishmaniasis (kala-azar). M, male; F, female; AKI, acute kidney injury; HIV, human immunodeficiency virus. AKI can be found in a significant proportion of patients with visceral leishmaniasis.28,29 In a study of 146 children with visceral leishmaniasis, AKI was found in 45.9% of cases. Patients in the AKI group were significantly younger, and had jaundice and secondary infections more often than non-AKI patients. The AKI group had significantly lower serum sodium, potassium, and albumin levels, elevated serum globulins and a more prolonged prothrombin time. The risk factors for AKI were secondary infections (OR: 3.65, p=0.007), serum albumin decrement (OR: 1.672, p=0.019), and high serum globulin (OR: 1.35, p=0.029).28 In a study of 224 adults with visceral leishmaniasis, AKI was observed in 33.9% of cases, and the risk factors for AKI were male gender (OR: 2.2; p=0.03), advanced age (OR: 1.05; p<0.001), and jaundice (OR: 2.9; p=0.002). Table 1 summarizes previous reports on kidney involvement in visceral leishmaniasis. Most parasitic diseases evolve into chronic illness, with fluctuations in antigenemia and host response. There are several possible explanations, such as low natural immune response or the parasite's ability to evade the host immune system attack. It has been demonstrated that development of host resistance is usually dependent upon T-CD4+ cells producing interferon gamma (IFN) – a TH1-type cell. However, a mixed TH1 and TH2 response seems to be involved in extracellular parasite eradication.30 The Leishmania is able to manipulate the host immune system by inducing the production of growth factor b, a macrophage-inhibiting cytokine, and interleukin-10, besides interfering in IFN-gamma signaling, all of which affect cellular immune response and induce polyclonal B-cell activation, which has been associated with kala-azar glomerular disease.30 Antibodies produced in response to infection can be trapped in glomeruli by different mechanisms, such as immune complexes, in situ development of complexes (antibodies linked to previously implanted glomerular antigens), or directly attached to glomerular antigens. Yet, recent studies demonstrated that antibodies alone do not explain the occurrence of proteinuria.30,31 Macrophages, granulocytes, and natural-killer lymphocytes are all part of host defenses, and participate in the genesis of glomerular lesions through an intricate chain of cytokines and inflammatory mediators, as demonstrated experimentally.30,31 It is possible that reduced tubular concentration and acidification functions are caused by IgG overload of tubular cells, in patients presenting with major changes in plasma globulin levels.32 A distal tubule acidification defect can occur. Mesangial proliferative, membranoproliferative, and collapsing FSGS seem to be the patterns that are most frequently seen in association with kala-azar nephropathy, the severity of which can vary from mononuclear interstitial infiltration to a severe, diffuse, inflammatory infiltrate consisting of macrophages, lymphocytes and plasma cells.33 On immunofluorescence microscopy, IgG, IgM, IGA and C3 deposits in the mesangial matrix can be found.33 Experimentally, tubular and interstitial lesions have been the most frequently seen kala-azar-associated kidney lesions. However, amyloid deposits and rapidly progressive glomerulonephritis with nephrotic syndrome have been reported in human leishmaniasis.34,35 Experimental infection by L. donovani can result in amyloid deposition, following an initially diffuse proliferative glomerular lesion.36 The finding of the amastigote forms in the kidney is a rare event, yet it is possible to identify Leishmania antigens in inflammatory infiltrate.30Figs. 1 and 2 illustrate the pathological findings in visceral leishmaniasis. Kidney: glomerulonephritis pattern in dogs with naturally acquired VL. Histopathology (light microscopy) and ultrastructure. (1) Minor glomerular abnormalities. Glomerular, visceral, and epithelial cell vacuolization and protein droplets in the cytoplasm of the podocytes (arrow). Foot process effacement (arrowhead) can be seen. EM. Bar=500μm; (2) focal, segmental glomerulosclerosis. Swelling and effacement of visceral and epithelial cell foot processes. Absence of electron-dense particles from the glomerular capillary basement membrane. EM. Bar=2170μm; (3) diffuse, membranoproliferative glomerulonephritis. Segmental thickening and duplication of the peripheral glomerular capillary wall. PAMS. Bar=25μm; (4) diffuse, mesangial proliferative glomerulonephritis. Normal glomerular capillary wall. PAMS. Bar=25μm; (5) crescentic glomerulonephritis. Fibrocellular or fibrous proliferation occupying part of the Bowman's space. PAMS. Bar=25μm; and (6) chronic glomerulonephritis. Intense activity of fibroblasts, collagen proliferation, and cell remnants in interstitial space. Bar=350μm. Renal amyloidosis in a patient with visceral leishmaniasis and HIV. (A) Abundant mesangial amyloid deposits (black arrowhead; enlarged in (B)) and interstitial fibrosis (white asterisk); FAOG stain; 100×, (B) almost complete obliteration of the glomerular architecture by mesangial amyloid deposits; FAOG stain; 600×, (C) amyloid deposits in arteriolar wall that are congophilic and produce apple-green birefringence; Congo red; 600×, (D) typical ultrastructural appearance of amyloid fibrils in the mesangium; transmission electron microscopy (uranyl acetate and lead citrate), and (E) amyloid fibrils are also seen in capillary membranes in a subendothelial location; transmission electron microscopy (uranyl acetate and lead citrate). Pentavalent antimonial compounds are still the drugs of choice when treating visceral leishmaniasis. However, amphotericin B might be equally effective. Kidney alterations usually disappear soon after infection control. Elzabeth De Francesco Daher received a grant (number: 300405/2012-0) from the Brazilian Research Council (Conselho Nacional de Desenvolvimento Científico e Tecnológico – CNPq; “Produtividade em Pesquisa”). Leishmania species: visceral (kala-azar), cutaneous, and mucosal leishmaniasis. A. Clementi, G. Battaglia, M. Floris, P. Castellino, C. Ronco, D.N. Cruz. Renal involvement in leishmaniasis: a review of the literature. R.A. Oliveira, L.F. Diniz, L.O. Teotônio, et al. Renal dysfunction in patients with American cutaneous leishmaniasis. R.A. Oliveira, C.G. Lima, R.M. Mota, A.M. Martins, T.R. Sanches, A.C. Seguro. Renal function evaluation in patients with American cutaneous leishmaniasis after specific treatment with pentavalent antimonial. E. Daher, G. Silva Junior, J. Oliveira, et al. Renal abnormalities in patients with American cutaneous leishmaniasis [abstract MO226]. Acute renal failure in visceral leishmaniasis treated with sodium stibogluconate. R.N.R. Sampaio, J.P.R. Veiga, O.M. Limeira, A. Vexenat, P.D. Marsden. Insuficiência renal aguda em leishmaniose tegumentar americana tratada com associação de glucantime® e alopurinol. J.P.R. Veiga, R. Khanan, T.T. Rosa, et al. Pentavalent antimonial nephrotoxicity in the rat. R.A. Oliveira, G.B. Silva Junior, C.J. Souza, et al. Evaluation of renal function in leprosy: a study of 59 consecutive patients. L.M. Russo, G.L. Bakris, W.D. Comper. Renal handling of albumin: a critical review of basics concepts and perspective. Microalbuminuria and cardiovascular disease. UpToDate 12.3. K. Wachtell, H. Ibsen, M.H. Olsen, et al. Albuminuria and cardiovascular risk in hypertensive patients with left ventricular hypertrophy: the LIFE study. H. Wen, J. Frokiaer, T.H. Kwon, S. Nielsen. P.Y. Martin, W.T. Abraham, X. Leiming, et al. Selective V2-receptor vasopressin antagonism decreases urinary aquaporin-2 excretion in patients with chronic heart failure. P.C. Melby, R.D. Kreutzer, D. McMahon-Pratt, et al. Cutaneous leishmaniasis: review of 59 cases seem at the National Institute of Health. L.C. Cucé, J. Belda, W. Dias. Nephrotoxicyty to Glucantime® in the treatment of leishmaniasis. M.L.O. Rodrigues, R.S. Costa, C.S. Souza, et al. Nephrotoxicity attributed to meglumine antimoniate (Glucantime) in the treatment of generalized cutaneous leishmaniasis. R.N.R. Sampaio, C.D.R. Paula, J.H.D. Sampaio, et al. Avaliação da tolerância e nefrotoxicidade do antimonial pentavalente administrado na dose de 40mg Sbv/kg/dia por 30 dias na forma cutânea-mucosa de leishmaniose. Mandell: Mandell, Douglas, and Bennett's principles and practice of infectious diseases. Visceral leishmaniasis in Brazil: revisiting paradigms of epidemiology and control. P.L. Albuquerque, G.B. Silva Junior, C.C. Freire, et al. Urbanization of visceral leishmaniasis (kala-azar) in Fortaleza, Ceará, Brazil. F.A.A. Lima Verde, F.A. Lima Verde, E.F. Daher, G.M. Santos, A. Saboia Neto, E.M. Lima Verde. Renal tubular dysfuncion in human visceral leishmaniasis (kala-azar). N. Elnojomi, A.M. Musa, B.M. Younis, et al. Surrogate markers of subtle renal injury in patients with visceral leishmaniasis. N. Salgado Filho, T.M.A.F. Ferreira, J.M.L. Costa. Envolvimento da função renal em pacientes com leishmaniose visceral (calazar). F.A. Lima Verde, F.A. Lima Verde, A.S. Neto, P.C. Almeida, E.M. Lima Verde. Hormonal disturbances in visceral leishmaniasis (kala-azar). E.F. Daher, N.A. Rocha, M.J. Oliveira, et al. Renal function improvement with pentavalent antimonial agents in patients with visceral leishmaniasis. N.A. Rocha, M.J. Oliveira, L.F. Franco, et al. 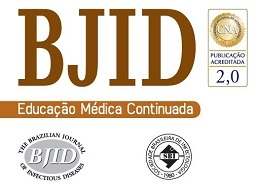 Comparative analysis of pediatric and adult visceral leishmaniasis in Brazil. A.B. Libório, N.A. Rocha, M.J. Oliveira, et al. Acute kidney injury in children with visceral leishmaniasis. M.J.C. Oliveira, G.B. Silva Junior, K.L.S. Abreu, et al. Risk factors for acute kidney injury in visceral leishmaniasis (kala-azar). F.A. Costa, M.G. Prianti, T.C. Silva, S.M. Silva, J.L. Guerra, H. Goto. T cells, adhesion molecules and modulation of apoptosis in visceral leishmaniasis glomerulonephritis. M.G. Prianti, M. Yokoo, L.C.B. Saldanha, F.A.L. Costa, H. Goto. Leishmania (Leishmania) chagasi-infected mice as a model for the study of glomerular lesions in visceral leishmaniasis. E.M. Lima Verde, F.A.A. Lima Verde, F.A. Lima Verde, et al. Evaluation of renal function in human visceral leishmaniasis (kala-azar): a prospective study on 50 patients from Brazil. P.V. Kumar, Y. Daneshbod, A. Sadeghiporr. M. Navarro, J. Bonet, J. Bonal, et al. Amyloidosis secundaria por leishmaniasis visceral como causa de frecaso renal agudo irreversible en paciente con SIDA. S. De Vallière, C. Mary, J.E. Joneberg, et al. AA-amyloidosis caused by visceral leishmaniasis in a human immunodeficiency virus-infected patient. A.V. Oliveira, M.C. Roque-Barreira, A. Sartori, et al. Mesangial proliferative glomerulonephritis associated with progressive amyloid deposition in hamsters experimentally infected with leishmania donovani. M.I. Duarte, M.R. Silva, H. Goto, et al. Interstitial nephritis in human kala-azar. M. Dutra, R. Martinelli, E.M. de Carvalho, et al. Renal involvement in visceral leishmaniasis. F. Caravaca, A. Muñoz, J.L. Pizzaro, et al. Acute renal failure in visceral leishmaniasis. V. Leblond, H. Beaufils, C. Ginsburg, et al. Collapsing focal segmental glomerulosclerosis associated with visceral leishmaniasis. V. Chaigne, Y. Knefati, R. Lafarge, et al. Leishmaniose visceral autochtone avec insuffisance rénale aiguë par glomérulonéphrite infectieuse. G. Efstratiadis, E. Boura, P. Giamalis, et al. Renal involvement in a patient with visceral leishmaniasis. S. Alex, C. Criado, M.L. Fernandez-Guerrero, et al. Nephrotic syndrome complicating chronic visceral leishmaniasis: re-emergence in patients with AIDS. E.F. Daher, L.F. Evangelista, G.B. Silva Junior, et al. S. Dettwiler, T. McKee, K. Hadaya, et al. Visceral leishmaniasis in a kidney transplant recipient: parasitic interstitial nephritis, a cause of renal dysfunction. C. Suankratay, G. Suwanpimolkul, H. Wilde, et al. Autochtonous visceral leishmaniasis in a human immunodeficiency virus (HIV)-infected patient: the first in Thailand and review of the literature. F.A. Costa, H. Goto, L.C. Saldanha, et al. Histopathologic patterns of nephropathy in naturally acquired canine visceral leishmaniasis.